Firefighters hunkered down Saturday as winds occasionally gusted around the wildland blazes raging across Central Washington. Meanwhile, a new fire sprang up in Columbia County. 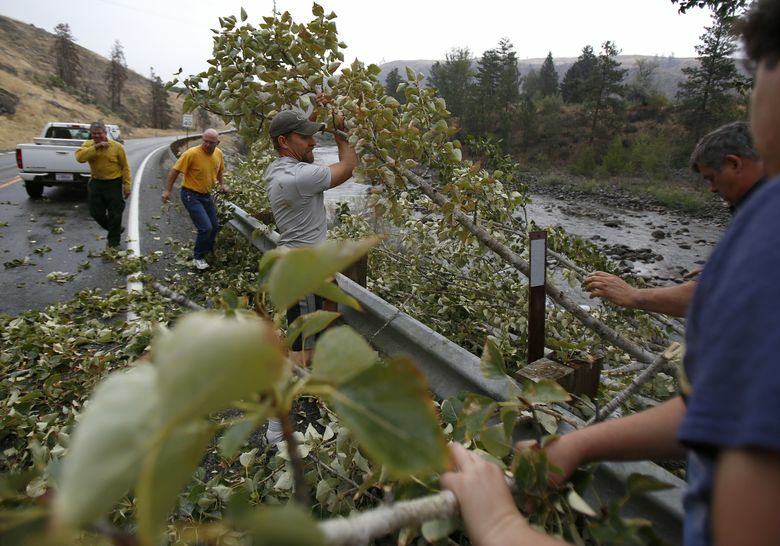 Firefighters hunkered down Saturday as winds gusted around the wildland blazes raging across North Central Washington, in at least one case forcing firefighters to withdraw to keep safe. 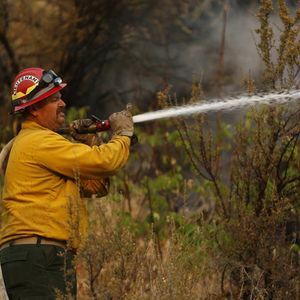 While some fires — including the Twisp River fire, which killed three firefighters Aug. 19 — are getting contained, officials worry other fires could be spurred on by the weekend weather. Meanwhile, a new fire sprang up Saturday morning in Columbia County. With gusts of up to 60 mph, fire analysts Saturday were expecting “significant growth” on two fires — Tunk Block and Lime Belt — in the Okanogan complex, which is burning around the town of Omak and is now the largest fire in state history. Sometime in the next few days, the Tunk Block fire is expected to merge with the North Star fire burning to the east, according to a federal government news statement on the fire. The weather conditions forced firefighters to withdraw from the area between those two fires, around the town of Tonasket, Okanogan County, according to Lisa Machnik, spokeswoman for the team managing the fires. “The decision was made not to put people in the way of the fire with the wind,” Machnik said Saturday afternoon. Despite the weather, “what I’ve heard so far is that containment areas are doing well,” Machnik said. Firefighters are working in areas they can safely access, but blowing dust is also hampering visibility, according to Machnik. The most recent figured, released late Saturday showed the Okanogan complex fires had burned 304,782 acres, or 476 square miles. Two fires in the complex, the Twisp River and Nine Mile fires, were each about 95 percent contained. The Tunk Block fire was 10 percent contained. The Forest Service said 1,713 people were committed to fighting the complex of blazes, which started Aug. 14 during a lightning storm. Costs in fighting the complex have exceeded $21 million, accoridng to the USFS. The Chelan complex fires, burning farther south, have scorched a total of 91,502 acres, or 143 square miles. Rico Smith, a spokesman for the team fighting the Chelan complex fires, said firefighters there were also worried about high winds. Smith added that any rain coming “is not going to have a significant effect” on the fires. The North Star fire Saturday afternoon was burning about 4.5 miles outside the town of Republic, Ferry County, according to Gerardo Regalado, spokesman for emergency operations there. That fire has burned 192,900 acres, or about 300 square miles. Fears of wind-driven blazes prompted Ferry County Sheriff Raymond Maycumber on Friday to urge residents of Republic to evacuate. At least 45 primary residences, 49 cabins and 60 outbuildings have been destroyed in the Okanogan complex fires, officials said Friday. 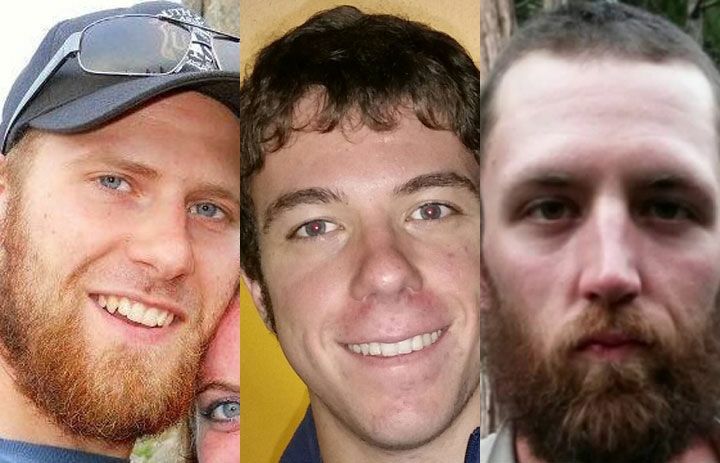 Smith said Saturday about 85 homes, businesses and other residences have been destroyed by the Chelan complex fires. Meanwhile, state firefighting resources are being mobilized to grapple with a new blaze burning 25 miles east of the town of Dayton in Columbia County, in the state’s southeast. Dubbed the Tucannon fire, it started around 9:40 a.m. Saturday from undetermined causes, according to a news statement from the Washington State Patrol. By early evening, the fire had grown to about 400 acres and was threatening houses and crops, as well as radio and utility infrastructure, according to the statement. Wildfires in Washington state have continued to grow across the summer after an unusually dry season that has stretched firefighting resources. Crews continued Saturday to bring other fires burning around the state under control. The eight fires making up the Upper Skagit complex, burning northwest of Newhalem, Whatcom County, had burned about 13 square miles and were 61 percent contained, according to Saturday morning fire reports. 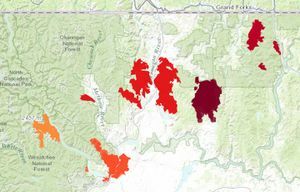 The Carpenter Road fire has torched 59,828 acres or about 93.5 square miles, according to a Saturday morning news statement from the team fighting the fire. That fire, burning 35 miles northwest of Spokane, is 20 percent contained and crews there are also expecting wind gusts of up to 60 mph, which will hamper the operations of fire attack aircraft.